I've been flying R/C Aircraft and Helicopters for a long time and thought I would try something new. So I thought I would share some of my recent footage from my new quad copter. All the locations are in the county where I live in the United Kingdom. Oh that is so cool! The the first one with the trains. Max range is approx 11,000 ft. I get a live 720p HD stream to my iPad Air via my flight controller while flying. Just amazing. I was talking to a guy who uses one for his solar installation business. He's able to survey without having access rooftops. I'd love to know how this expense went over as a tax write off. The tech has certainly improved in recent years. Some of the larger top end models can fly with a broadcast quality camera. The only real limitation now is the battery capacity which effects the flight time. I've tried FPV racing a few times with mini quads. Great fun. When you start tree dodging with a miniquad you gauge your progress by how often you have to change out broken props. The tipping point is when you go home at the end of the day having changed props less often than batteries. 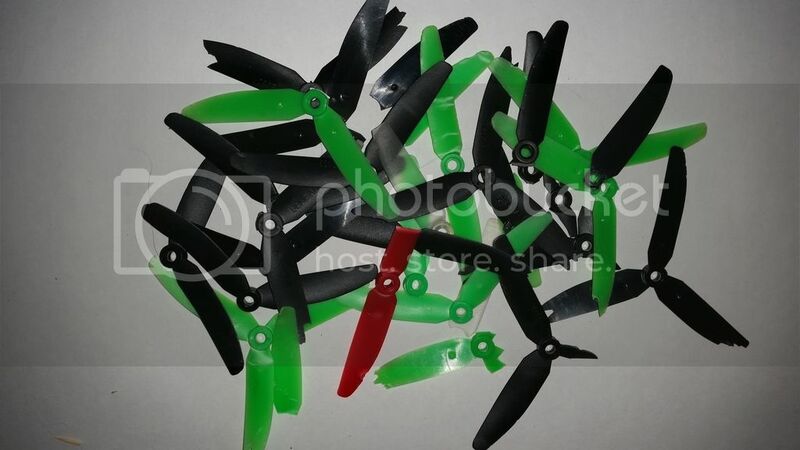 Good thing you can get sets of 4 props from SPAMCORP for less than a buck and a half. Oh man, that is so awesome!! I'd LOVE to be able to afford something like that. They can be very expensive, but some of the cheaper models are great fun to start with. Zombie Apprentice Posts: 18,240 Plumbers Know Their Crap!! I've always been into r/c cars, but always wanted to try my hand at helicopters, yet after seeing some of these things a few years back, like omg screw the helicopter, I want a quad, just can afford it..
My latest effort. I'm slowly getting used to Premiere Pro CS6. My latest edit from today's flying. Just West of Citadel Battery, on Dover's Western Heights, are the remains of a WW2 Heavy Anti Aircraft Battery (HAA). It was originally named D1 (D2 being the Wanstone Farm AA battery; D3 being at Frith Farm and D4 at Buckland). The guns were 3.7" and were mounted on the site at the beginning of World War II. The site's layout is very similar to that at Wanstone Farm, with circular road linking the four concrete emplacements, each surrounded by a ring of shell lockers. Associated buildings, such as a Guard Room and shell stores are also located around the site. The crew accommodation area was located some 300 yards East of the battery, but the buildings have been demolished and only the foundations remain.